When will be $25 Million Dollar Hoax next episode air date? Is $25 Million Dollar Hoax renewed or cancelled? Where to countdown $25 Million Dollar Hoax air dates? Is $25 Million Dollar Hoax worth watching? Crissy Sanford is a small-town girl who gets the opportunity to play a hoax on her family. 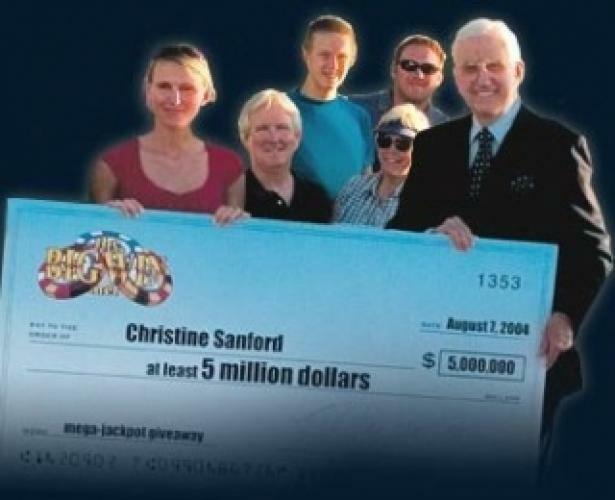 This is done over the span of a three episode period where she attempts to convince her family that she won $25 million dollars from a website called bigwin.net. If she can pull it off, she could win $400,000 in cash and prizes. To help her pull off the hoax, guest appearances by Ed McMahon, George Gray, and N*SYNC's Lance Bass sweeten the deal. Based on the UK show "The Million Pound Hoax, the show was a taste of what Reality TV was for the public. EpisoDate.com is your TV show guide to Countdown $25 Million Dollar Hoax Episode Air Dates and to stay in touch with $25 Million Dollar Hoax next episode Air Date and your others favorite TV Shows. Add the shows you like to a "Watchlist" and let the site take it from there.